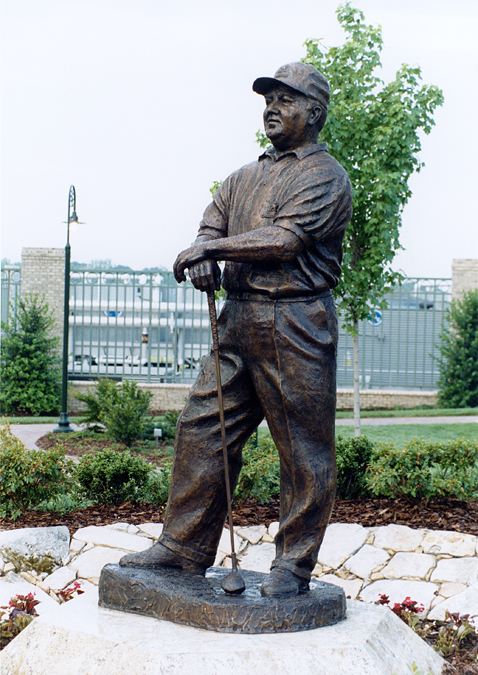 Joe Koury was one of the largest land developers in Greensboro, North Carolina, for many years. 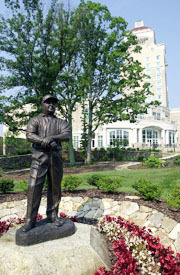 He was an avid golfer and decided to build the Grandover resort with a golf course. Unfortunately he never witnessed the opening. He passed away two years prior. 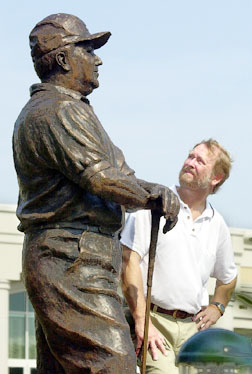 The sculpture stands in the garden of Grandover overlooking the golf course. 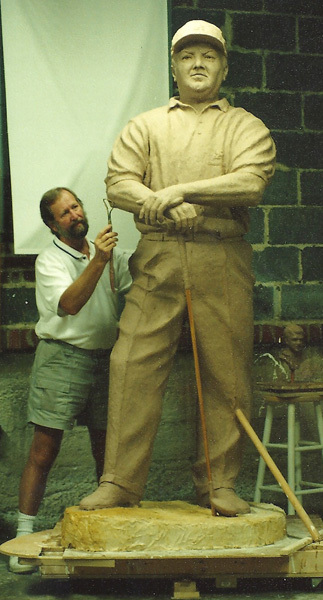 It was made entirely with the help of video and photographs.